Attention! C’est serious la securité! Chorus, the French Government’s accounts payable system went offline in June following an accidental error by subcontractors. The outage was so severe that it was not possible to recover the data. Only a degraded service was available in the interim. Delayed payments to 13,400 users totalling US$232m went out 4 days later. The management system provided 22 hours per day, 5 days per week coverage. With the critical nature of data security and continuity to corporate business, having global round the clock MSP coverage will become increasingly more important in our digital age. UK’s mobile phone giant, Vodafone this week agreed an eye watering €7.7bn deal for Kabel Deutschland, Germany’s largest cable company. Driven by customer demand for bundled services covering fixed and mobile services, Vodafone had to act expensively and swiftly, or be outstripped by Deutsche Telekom. With last year’s £1bn purchase of Cable & Wireless Worldwide, Vodafone now enters the triple-play market offering mobile, fixed-line, broadband and Pay TV services. It faces similar conundrums in Spain and France, illustrating the need for bravery in the vertical integration game – and deep pockets. Oracle has teamed up with Microsoft to provide their software in the cloud thanks to Microsoft Azure. Traditionally Oracle has competed directly with Microsoft but they have had a strategic change of heart. This partnership will benefit both parties in the short term. Oracle gets the benefit of new customers to their services who wish to do so on the cloud. Microsoft gets more big name support backing Azure and gains more Azure users. In the long term it seems that Microsoft will have the most to gain and helps them combat VMware thanks to this new unique partnership. Can we still trust Google? Back in 2010 the ICO took action against Google for its WIFI snooping in their Street View car fleet. In addition to the capture of mapping imagery they were also collecting email address and passwords via individual’s home WIFI hubs. The original action was for the deletion of all of this non imaging data. The investigation has since found that this data still existed elsewhere within Google. The action now is a 35 day limit for the removal of this or be in contempt of court. Google it seems is struggling to change its perception around personal data, an all too important issue when your business is holding users data. There are estimated to be 40,000 healthcare apps for smartphones and tablets. The market for healthcare apps is estimated to be worth $400m by 2016. Few doubt delivery of clinical care management and diagnostics will increasingly engage with this technology (some 62% of US doctors had some form of tablet in 2012). Apart from obvious cost reduction opportunities, apps offer UK healthcare providers and the mobile care workforce improved patient visit time and reduce lengthy paperwork duties. The benefits of remote monitoring of drug delivery, tracking patient welfare, calibration of devices etc. are all positives. Enabling the mobile workforce is critical, it just needs to be aligned to proper security and governance policies measures. Quantum Dawn 2, a planned simulated cyber attack, is to be held later this month in the States amongst selected Wall Street firms and government agencies. The initiative is a bid to identify flaws which could otherwise cripple the nation’s economy. Attempts by hacktivists last year caused US banks to put aside their normal rivalries for the common good of sharing defence mechanisms and outcomes. Gartner believes that all firms should undertake regular drills on Distributed Denial of Service (DDoS) to confirm continuity of phone and email communications to fully flex their DR and protection plans. This is something that more firms would be well advised to undertake. Today at the Samsung Premiere several new mobile devices were unveiled. One of the most interesting is the Samsung ATIV Q. At first glance it looks like any high-end tablet but its party trick may turn a few heads. Running both Windows 8 and Android, users get the benefit of all their legacy Windows applications, as well as Microsoft’s own modern tablet Apps in addition to the full catalogue of Android Apps. No reboots required, you can pin Android Apps to the Windows 8 start screen and vice versa. Making for a versatile tablet. Whether Samsung has a true market winner on their hands has yet to be seen, but the full breadth of App compatibility this solution offers, should bring the ATIV Q in to your consideration list for your next business tablet. Further to recent news stories around ‘Prism’ (US Government surveillance programme on users data), IT big names including Microsoft, Apple and Facebook have revealed how many requests for users data they receive. Microsoft confirmed over 30,000 requests in the second half of 2012, Apple had 5,000 requests and Facebook 19,000. When these requests come in companies have a legal obligation to pass over information stored on their servers. The exception is services like Apple’s iMessage which use end-to-end encryption. Even Apple themselves are unable to unencrypt this data and so it cannot be handed over. Although these figures are alarming at first, Apple stated the majority of cases are from police and the data used assisted searches for missing children, locating patients with Alzheimer’s and preventing suicides. Microsoft Office finally arrives on iPhone. After much deliberation Microsoft has ported over Office to Apple’s popular mobile platform. The App is free but there are several caveats to be aware of; currently the App is only available in America and only on the iPhone with no iPad support yet. In addition the App is reliant on a paid Office 365 subscription. If you meet all these requirements you can now use the ‘real’ office experience on your phone. It’s a bold move and with Office being subscription free on their own Windows Phone 8 platform they are in no danger of losing one of their biggest mobile advantages. Google has purchased social-mapping company Waze for the high price of $1.1 Billion this week. Following the purchase Waze has spoken out that “We are excited about the prospect of working with the Google Maps team”. Although both services should see benefits from working with the other, naturally Google has big plans with making Google Maps more social to secure their lead in the mapping market. The key to success with this is making the new functionality easy to use, without taking away from the current services millions use and to provide it on as many devices as possible. Former Palm CEO Jon Rubinstein is still proud of Palms work on their webOS smartphone and tablet operating system, which was later purchased by HP for $1 billion. However shortly after the purchase and release of HPs first WebOS device, they abandoned the platform altogether. Jon Rubinstein now admits his regret of the sale of Palm to HP calling it a ‘wasted opportunity’. Not all buy-outs have happy outcomes for either party, and with light of similarly priced recent acquisitions this should show as a warning for big buy-outs. The first major change to the iPhone was at this year’s WWDC as Apple showed off for the first time iOS 7, which is the next iteration of the operating system that powers the company’s popular iPhone and iPad. Both the graphical interface and how you interact with the device has changed dramatically, which may make more than a few users double take at their phones new appearance. Users will have no option to roll back to how their system worked before. Apple could have another ‘apple maps-fiasco‘ on their hands which stopped users upgrading and purchasing new devices when it was forced on users in their last big update. Microsoft is finally ready to deliver a private cloud in a box, with the Windows Azure Pack. This lets you take advantage of Windows Azure technologies inside your own datacentre, providing self-service, multi-tenant services. Traditionally to use Azure services you would be reliant on Microsoft’s own hardware. This will enable MSPs more flexibility in providing different Cloud services to customers in addition to satisfying dataflow transparency needs. Although many rumours have been spun about Windows Blue or 8.1 as we now know it, Microsoft for the first time has confirmed certain details and functionality Windows 8.1 will bring. By popular demand the Start button is back, however the old menu is still not. Microsoft is focusing on their Start screen with more personalisation options, and improving the consistency from Desktop mode to the new Start screen. In addition to OS tweaks, all the main built in apps are getting updates and some like the Music app are getting a complete overhaul. Microsoft is betting on these updates to give users another excuse to check out Windows 8 and by listening to customer feedback they should be able to convert back some previously alienated fans. Motorola who is now owned by Google has been tasked with looking into future alternatives to the traditional password. Motorola have shown off two concepts in trials. The first is an electronic sticker that is worn on your body, a circuit inside will be able to confirm your identity to nearby devices. The second is a ‘password pill’, a pill the user will swallow which is then powered by your stomach, the pill notifies nearby devices on who you are. Will we see either of these security methods take off one day or even become the de facto method of signing in to your devices? 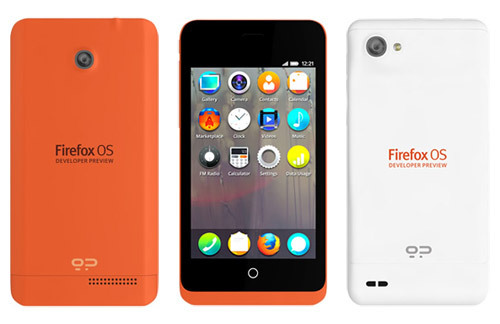 Mozilla is setting up partners to get phones running its new mobile operating system Firefox OS out into the market. Mozilla has signed a deal with Foxconn the world’s largest smart phone manufacturer to produce 5 different mobile devices running Firefox OS. With incredible competition from Google, Apple, Microsoft and even BlackBerry, Mozilla has a long and uphill battle on their hands. If they can convince their 20% desktop browser market share to go out and buy a Mozilla device, they may stand a chance yet.